You're viewing a 1969 Camaro Convertible Pace Car tribute. 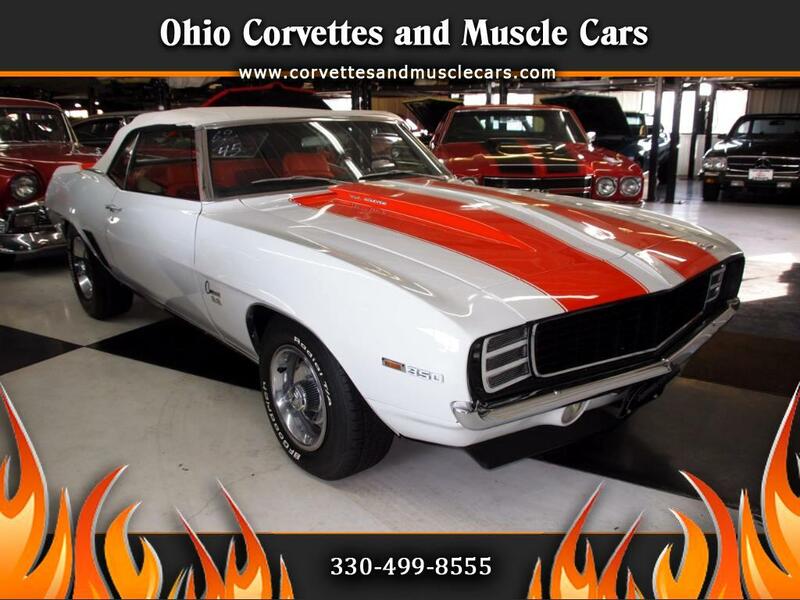 This is a very clean example of Chevrolet's iconic 1969 Camaro done in tribute to the pace car of the 1969 Indianapolis 500. It is powered by a NOM Chevy 350 small block and turbo 350 automatic transmission. The engine and transmission have been rebuilt and perform as when new. The interior is all new including carpet, seats, door panels, and console. This car is a heater delete car, and features a power convertible top with a new orange boot, tilt steering wheel, power steering, console with gauges, and a non functional cowl induction hood. The frame and floor/trunk pans have been replaced and undercoated, and the top is like new. If you would like a Pace Car look-alike for a fraction of the cost, this could be the car for you. We just got this car in, and the weather is really lousy, so we will post more pictures when spring finally arrives. Call or text us with any specific questions.